Image: Matthew Simmons/Getty Images for dcp. 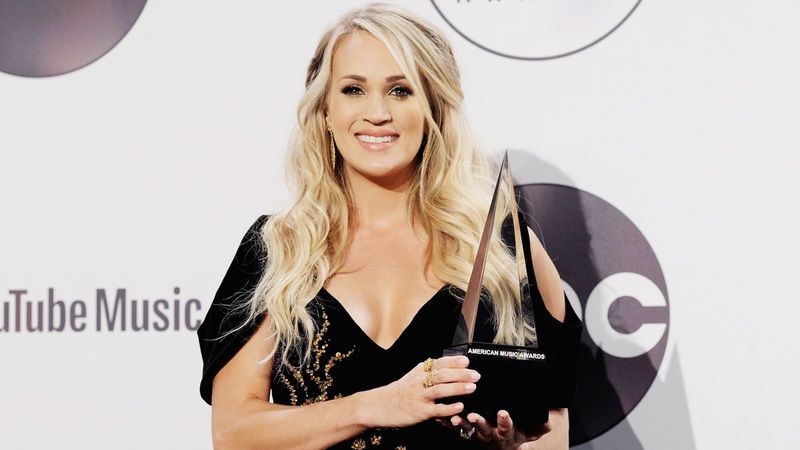 After Carrie Underwood took a scary fall on the steps of her home in November 2017 and had to have surgery on her broken wrist, plus over 40 facial stitches, she told fans that she might look different when she returned to public life. In a new interview one year after her accident, Underwood has also revealed other lasting effects that go beyond the physical. In an interview with Vulture published on Thursday, Underwood opened up about how her fall affected her singing voice, which made recording her new album especially tough. "I felt like the differences were more in my head than they were in anybody else’s that would listen to the things I was doing," Underwood said, reflecting on the recording process for Cry Pretty, released Sept. 14. "I had wanted to be in the studio sooner than I was, actually recording these songs, but I had stitches inside my mouth, outside my mouth. It was physically impossible." When Underwood was physically able to get into the studio, she said, "it was a mind game: 'Do I sound the same? Is my diction the same? Does my mouth move the same as it did before?' I would sing something and then look at David [Garcia, Underwood's co-producer for Cry Pretty] and be like, 'Did that all come out clearly?'" Garcia would reassure Underwood that she sounded "great," she told Vulture, but she also said her "m's and b's and p's were kind of the issue." Although she was worried about how she sounded, she didn't hire a vocal coach — "I don’t like it when people try to tell me how to sing, because it should be natural." Now that the accident and most of the healing is behind her, Underwood said she's started to accept that her voice won't always sound the same. "Things change just as you get older; your muscles change," she said. "I kind of expect I’m not always going to sound like I’m 22 coming off of American Idol. Hopefully I get better." One year later, it certainly seems like Underwood has moved on from her accident. She has a new album, a massive tour and another baby on the way. We're happy to see her thriving.